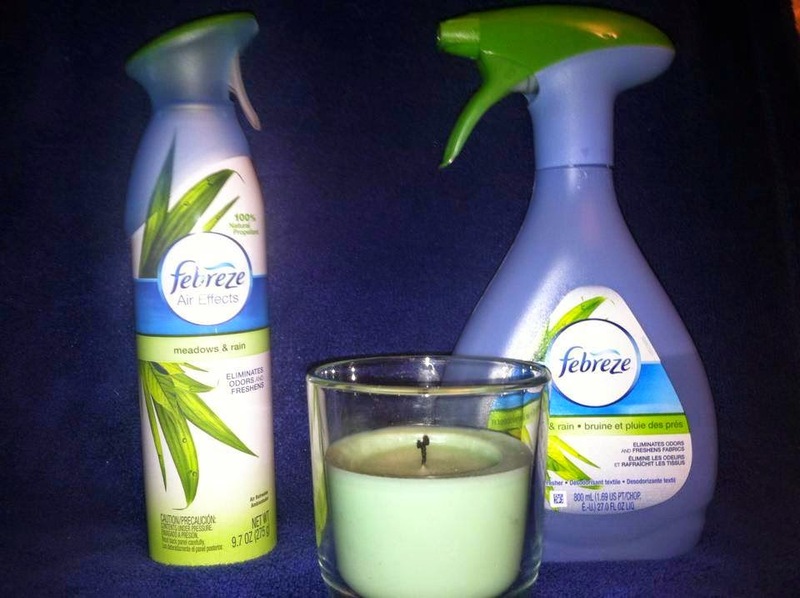 Here is another opporunity to win a $60 Amex and a Febreze product package! How many times do you walk in a home and wonder to yourself what that funky smell is? Lets face it, this happens! its life, and every home goes nose blind to their homes own smells! Here we have a combo of baby, dogs, weird smelling vegan food...well you get the idea. The issue here is that we dont notice these smells! Yeah they are cute...but they dont always smell great! Lets face it, spit up and wet dog isnt everyone's idea of a "Homey" smell! Well we had ourselves a #NOSE BLIND TEST! Ill be brutally honest here, I did not think our house had any scent that wasnt squeaky clean and great. I am a cleaning natzi! I will whip out a sponge and a pail with Mr. Clean so fast that your head would spin. I was surprised that people could smell our dogs and baby scents...And I dont mean that sweet freshly bathed baby smell, I mean that less than sweet sippy cup full of sour milk that hides under your sofa type of baby scent! So to REALLY challenge us we added to this mix extra butter microwave popcorn...yeah we are a strong people..or crazy!Either way we had a popcorn filled movie night. We also gave the kids fishsticks....ohh the smell of tarter sauce and fish! It was BAD. Anyhoo we whipped out the Frebreze! After a quick shot of air freshener and a candle was lit BAM...the reign of burnt butter popcorn and fish was demolished! Well I became inspired....I grabbed the fabric spray! OK I went a lil crazy here, I sprayed every room in our house with it! OMG, I LOVE THIS STUFF! Even better, my daughter swung by and commented on how nice the house smelled....the next day! Yeah I am a fan! And thanks to Frebreze you will be too! One of you gets a chance to win a prize pack of Frebreze and a $60 Gift Card!! I agree with the comment Julie made. I LOVE Febreeze Air Effects ... the Sweet Pea Petals is amazing! Thank you for the awesome giveaway! My favorite scent is Rain! Always love Hawaiin Aloha smells so good!